Update: Huge thanks to the Rev. 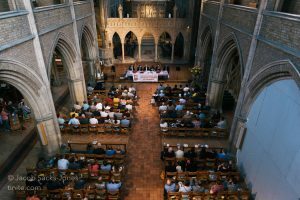 Jonathan Croucher for being such an amazing chair for the full-house hustings at St John’s on 31st May 2017. There was hollering, heckling, and hooting! Thank you to Father John too, for the use of St. John’s and all his help. And thanks to all the candidates, and extra thanks to everyone in Croydon North who put forward so many excellent questions. Alas, there was not enough time to cover all the issues. 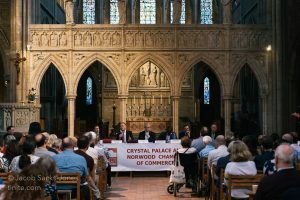 Local issues like air pollution, road safety are other issues raised are being taken up by www.cpneighbours.org . The questions raised are being kept. Local issues not addressed will be followed up with the elected candidate at a future forum meeting to discuss. 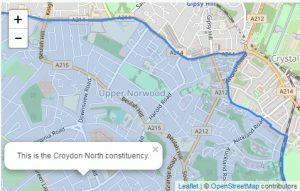 BBC Election 2017 Croydon North latest / live updates click here (and 2015 results). 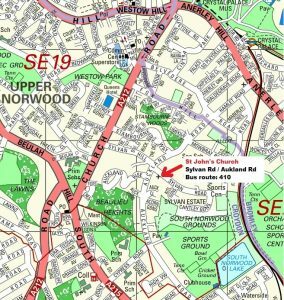 Venue Location here (nearest bus 410). Map of Croydon North Constituency (click on map below). 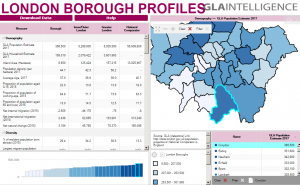 London Borough Profile (Click on graphic) .